Ever considered how much you’d pay to not be trapped in a window seat by some kid on a plane? Well, iOS travel app Seateroo has just launched with the promise of letting you buy or sell your airline seat to fellow passengers if you want a cheeky upgrade, or you don’t mind sitting at the back for a little cash. You can then quickly check seats for sale and seats wanted. If you want to sell your seat, you simply log the details, plus the asking price, in the app, then wait for someone to bite. 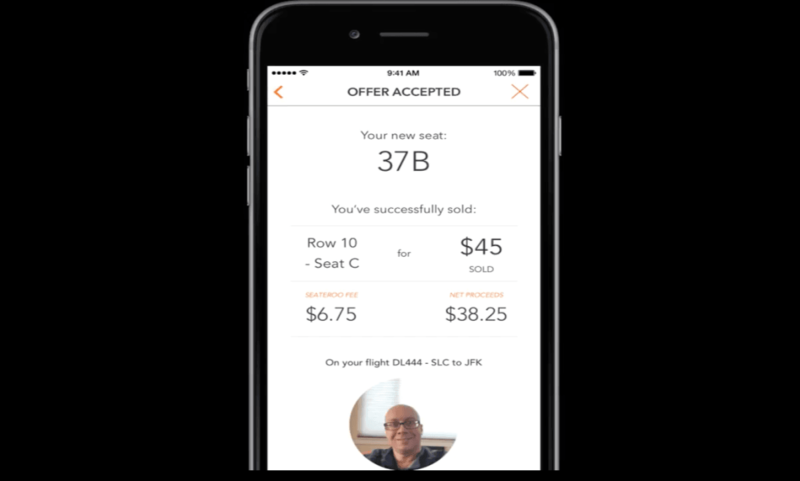 Prices for your seat must start at $5, with the company taking a 15 percent cut of each transaction. Although platforms like this depend on quite a high volume of usage in order to make potential matches possible, the service is not affiliated with airlines and has only gone live with credit card users in the US at present. But Seateroo says Apple Pay and PayPal will be considered for its next updates. The company says sales will mostly start five days in advance, although Southwest only lets you know where you’re going to be sitting 24 hours before the flight, after which you can start swapping with others on board. In its FAQs, the company says there are no restrictions on seat swapping, unless perhaps you’re disturbing people in first class, but you must only swap once you’re on board. I wonder if anyone ever thought of just asking politely to switch seats..?